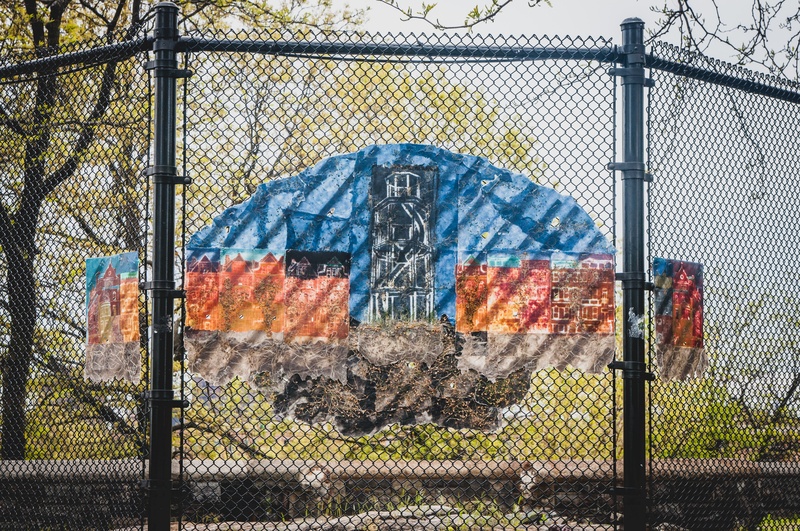 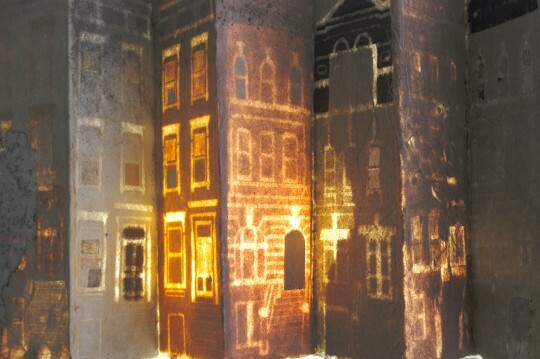 Harlem Roots integrates within the paper photographic images of Harlem Architecture. 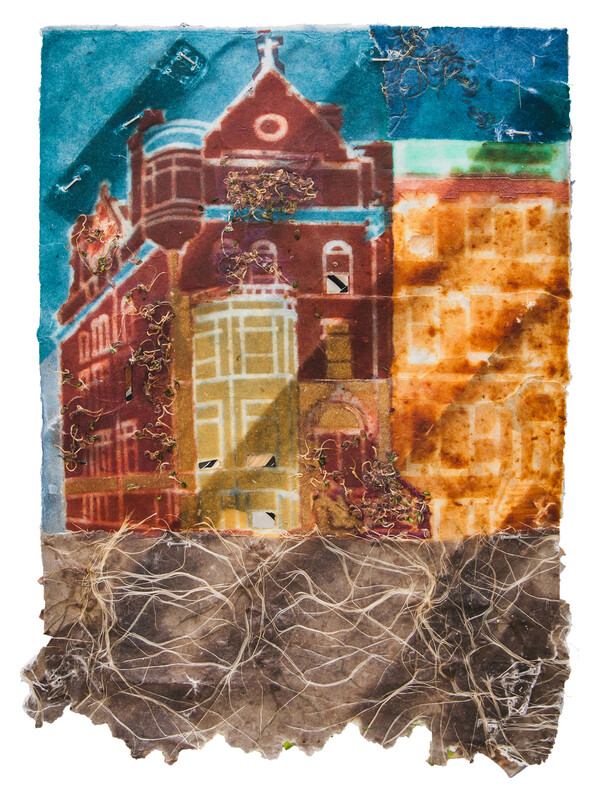 These works are inspired by the historic technique of watermarking, which has been used to embed company logos into the actual fibers of the paper. 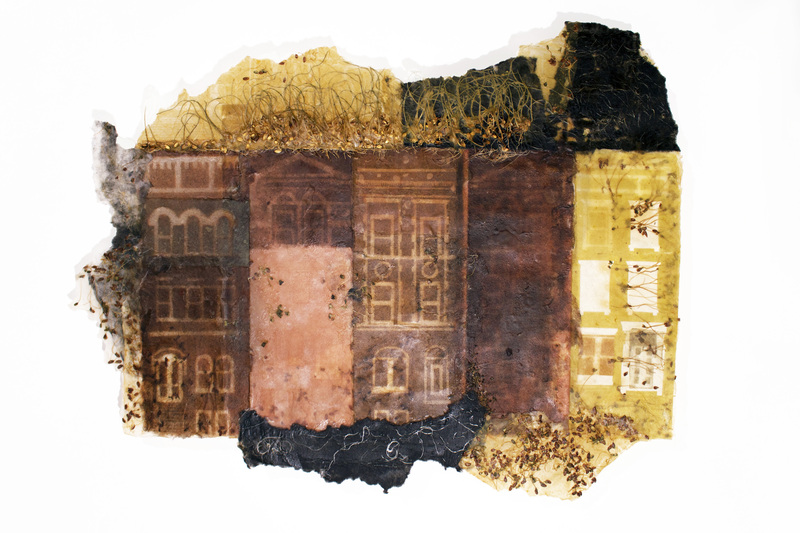 Stencils of Harlem brownstones are laid out in the papermaking mold to offset the pulp fibers. 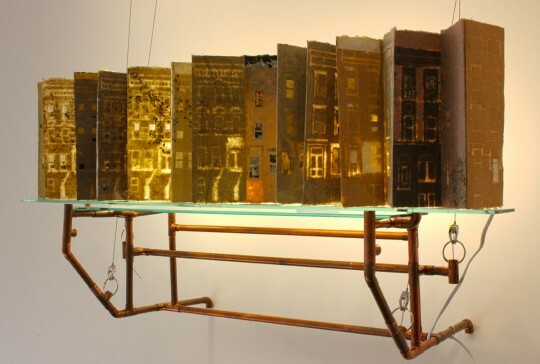 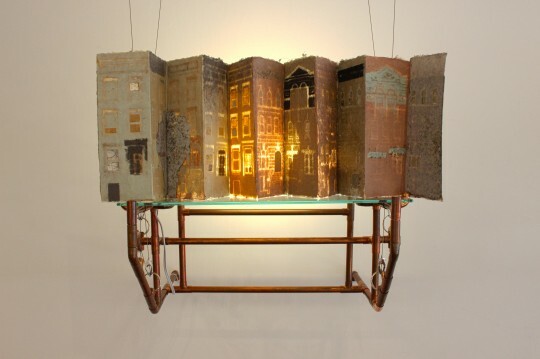 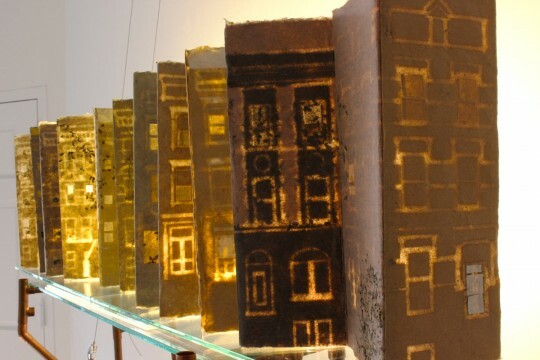 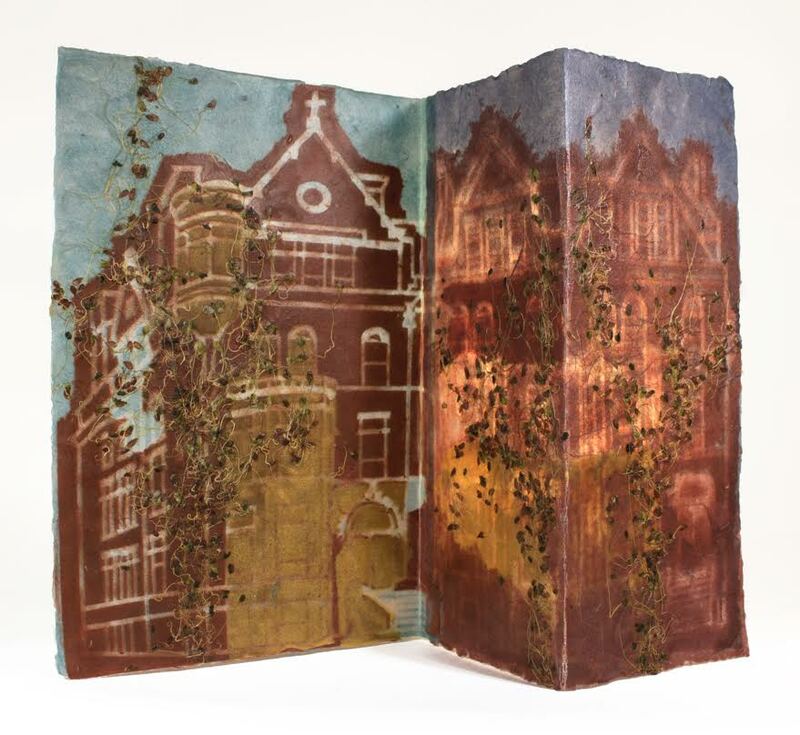 The final pieces are composed of multiple layers of dyed watermarked handmade sheets of paper and the sprouted seeds, which when set a glow by a backlight, illuminate ghost-like images of the architecture as a representation of the complex and layered history of urban development and gentrification.